BMPC felt like the first game of spades that I've played in years at my friends' Yaasiyn and Ismael's (both history teachers by the way) Anti-Fourth of July cookout a few weeks ago. We trashed talked each other, while discussing history and ways to we can help improve our communities. BMPC felt like the first taste of bean pie I had as a kid when my Christian mother would purchase them from a member of the Nation of Islam selling them, along with their newspapers not far from the Philadelphia Zoo. By the way, awesome video about the history of the Bean Pie has been making the rounds, if you haven't see it, check it out here. BMPC felt like the electric slide (a call to our latent African cultural dances that continues to fight it's way through the generations despite White supremacy's goal to kill our culture), that line dance that every Black person instinctively knows and grooves to at our block parties, weddings, graduation parties, and baby showers. BMPC also felt like watching Black Panther over and over again because save for the random CIA agent whose sole job was to shoot at a screen for the better part of the movie, it was unapologetically Black and gave a glimpse into how many of us view a never colonized Africa. BMPC is what I'd envision life like as a Black woman living in a society that values my body, my intellect, my beauty, and my lived experiences. It's like a three day therapy session, history class, and cultural extravaganza rolled into one. 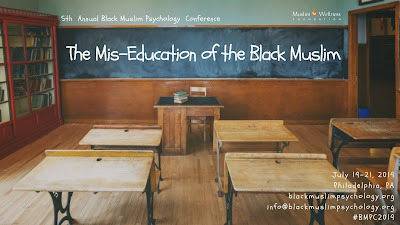 While I'm still processing my experience from this year, I'm already looking forward to next year, especially because of the theme "The Mis-Education of the Black Muslim". I've already started two proposals in my head and I'm itching to get them down on paper. In the meantime, take a look below at some of my experiences from this year's conference and then mark your calendars so that you can get a taste of Black liberation and meet all of those working to build institutions and resources to make it a full-time reality. What other conference do you know that is so thoughtful, they provide these types of baskets in the bathrooms?? the topic of Love and Liberation through the use of the Qur'an and Hadith. Some quotes, "How did we end up in this space where we must struggle for liberation. Our inability to understand the damage that has been done to us. What is love? The reason you are here is to create the opportunity for God’s love to exist in the universe. Could you love someone if you were forced to obey them? Would there be something hollow and unfulfilled about such a love?" 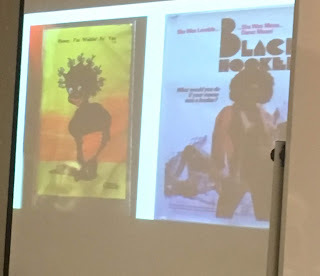 Donna Auston’s segment Social Construction of Desire: Race, Gender, & Black Muslim Intimacy focused on detailing the historical significance of negative Black images. Characters like Sambo, Black Buck, Hottentot Venus/Mammy and Jezebel are caricatures that become internalized by a society steeped in White Supremacy. She starts out asking us to respond to what does it feel like to be a stereotype. Then moves on to the discussion of Nature vs. Nurture, Desire as biological and cultural. Donna then plays, "Who taught you to hate yourself?" from Malcolm X's speech which discusses white supremacy and how it teaches us to hate ourselves which impacts intimacy within our community whether it’s on a sexual level, familial level, etc. Whiteness as an ideology is inherently anti-Black. Many Black Muslims came to Islam as a rejection of White Supremacy that’s inherent in the trope of “White Jesus.” I felt that last line deeply. This segment focused on beginning a conversation about interracial, inter-ethnic, and interfaith marriages within the Muslim community. Dr. Aneesah Nadir and Dr. Cheryl El-Amin used a power point to discuss interracial marriage within the Qur'an and then branched off into stories they've encountered through their work with the Healthy Marriage Initiative. We then divided into groups and worked together to determine the best way to have a successful marriage before, during, and after courtship while in the aforementioned types of relationships. I left soon after so that Matt could get to work on time...I kinda wished he'd called out so that I could have stayed longer. The Moderators were Imam & Dr.Quaiser Abdullah and Dr. Donna Auston. First they shared a case study that the Imam's would have to ponder while answering their prepared questions. Here is some of the dialogue from this discussion. Are we willing to put the well being of our sisters over those who are financial donors? Investigation & Consultation is important and fair unless there's overwhelming evidence. Imams shared how they responded to similar situations. Some felt that a show of force from the brothers in the community, while of course, with the permission of the wife, could help not only allow her to retain agency, but also to show the offender that the community would not allow the behavior to continue. Another Imam shared that they would make sure that not only would they not marry an oppressive brother to anyone, they also would not allow that brother to go to another community to marry either. In addition, they also talked about the requirement in their community to have 6 sessions of premarital counseling. There was also a suggestion that if a wife is in Iddah, give her 3 months of money to sustain the household. In addition, give yourself a pressure release person as an Imam to deal with marital & community issues too. Some shared that they were actively in counseling or have done counseling before. Finally, another suggestion was classes to teach brothers how to be husbands & classes for sisters which includes what they deserve as wives. 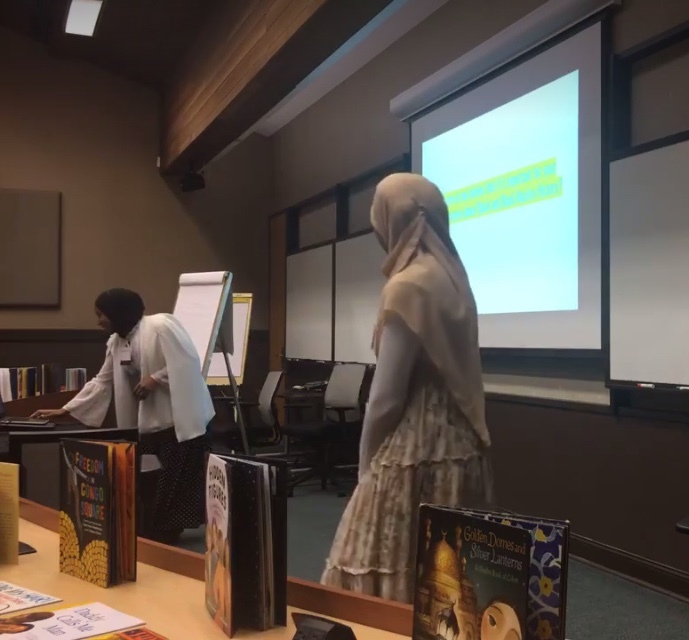 In this workshop, Dr. Sameera Ahmed & Dr. Irshad Altheimer of The Family and Youth Institute (The FYI) began a conversation about identifying what are some problems within the Black Muslim Community that we need to address. What are the resources that are available and where are the holes. I look forward to seeing what the FYI does with the information and conversation that we all had. Jamilah Thompkins-Bigelow and I presented on tips and techniques to help raise resilient Black Muslim Children. 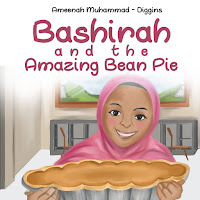 Jamilah, a published author focused on the need for parents to seek out literary depictions of Black Muslim and/or Brown children of color. While I, a history teacher, focused on utilizing history to enhance those qualities in our children. I also played a video (I know I'm a horrible videographer lol) I put together that elevated the voices of Black/Brown Muslim students and their experiences in the classroom. As a result of our session, we created a facebook group that we hope will serve as a resource for parents to help them make sure they're raising strong, confident, and proud Black Muslim children. Kameelah's session provided great insights into her journey of investigating her ancestry and receiving her DNA results. Her story was filled with surprising discoveries, shocking revelations and a feeling that many pieces of her life had fallen in to place. As her story was very personal, I will not share more details here. I will say that I was so enthralled with her story, some of it, I'd learned before, that I didn't realize that time had been exhausted. 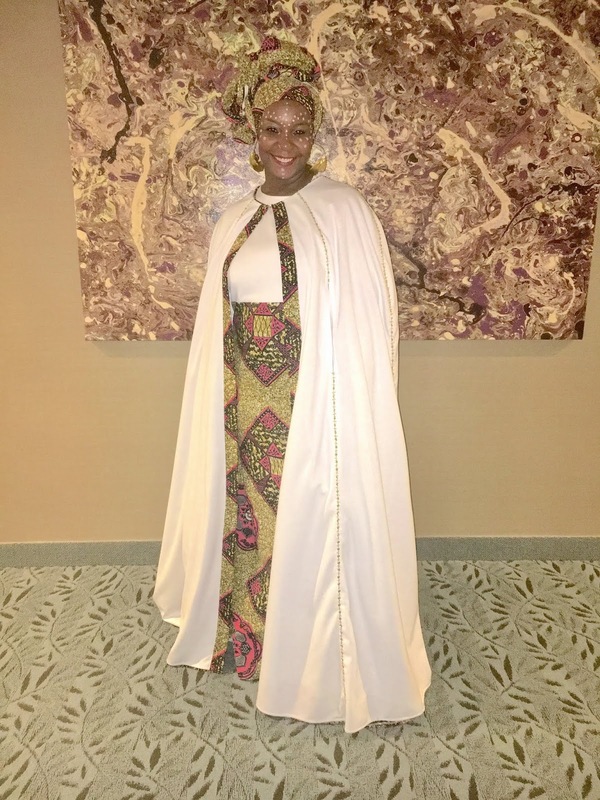 After such an emotional day, I raced home and got dressed for the Love and Liberation Black Panther inspired ball. Hosted by Moses the Comic (Musa Sulaiman), the ball kept me in stitches and also had some moments of disbelief due to the awesome magician Ran'd Shine. I don't know where the ketchup bottle went in the bag but I do know that he has talent. I expect to see him on America's Got Talent because...mind blown. We also saw a performance from the beautiful poet, spoken word artist, and author Tasleem Jamila whose soulful music and captivating words played like a soundtrack to Black life in America. The same could also be said for Jasiri X's performance. We got a brief but funny set by Preacher Moss of Allah Made Me Funny Fame. Of course, the food was delicious and flowed throughout the night. I found myself trying to eat all the hors d'oeuvre including the shrimp in a glass. I didn't take the best pictures due to the lighting issue but here are some highlights of the fashion! Now...because this post was getting way too long and I know how daunting it can be to read all my ramblings on one page, hit the link here in order to read about Day 3 which includes the Awardees and more workshop recaps!